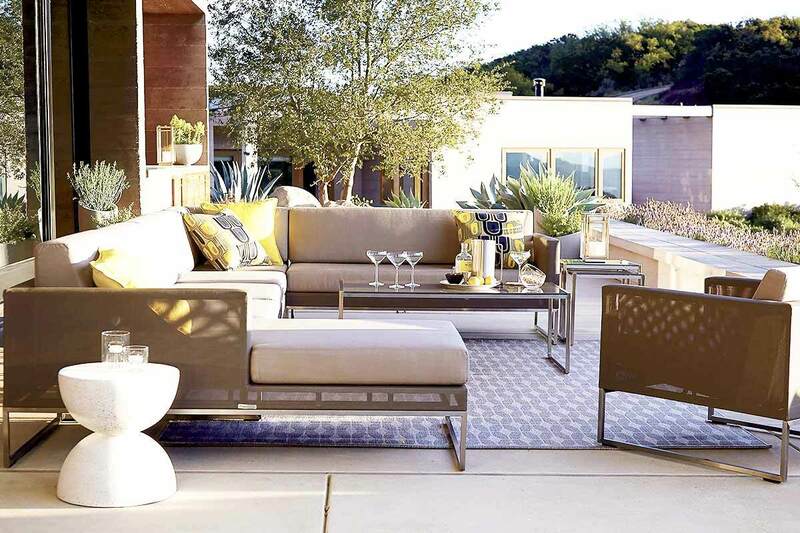 Spring and summer are fast approaching and if you live in a beautiful home in Miami or anywhere that the sun shines, then you'll probably want to consult this list of our favorite outdoor sectional sofas. 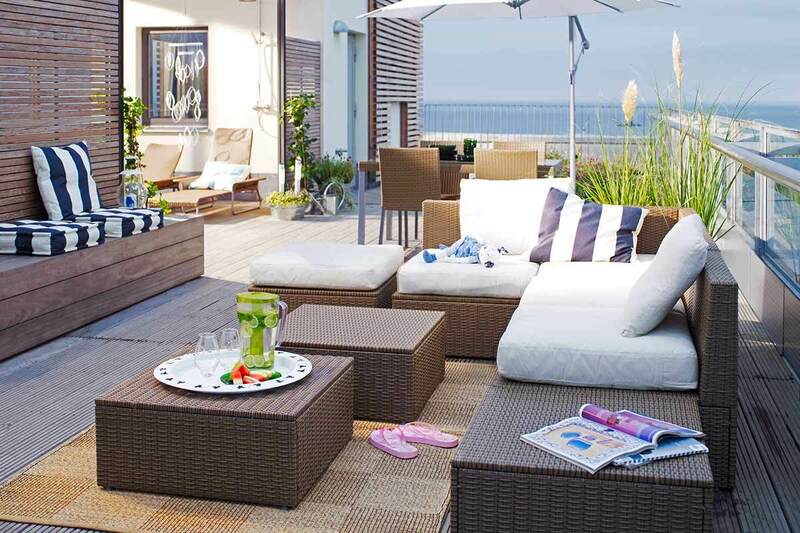 The recent trend in outdoor furniture has been to bring the comfort of the living room outside and that's exactly what these pieces do! 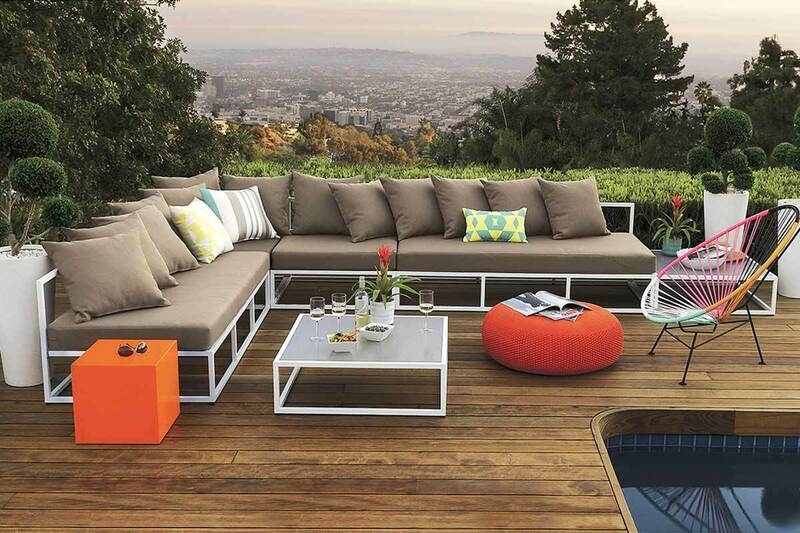 Imagined by Italian firm IVDesign for CB2 the Casbah Outdoor Sectional is a durable, light and super modern choice. Available in a love seat, single chair and corner unit this sectional is completely modular. A rust-resistant aluminum frame and poly-weave fabric ensure that this sofa can be left out in the rain and sun without destroying it. 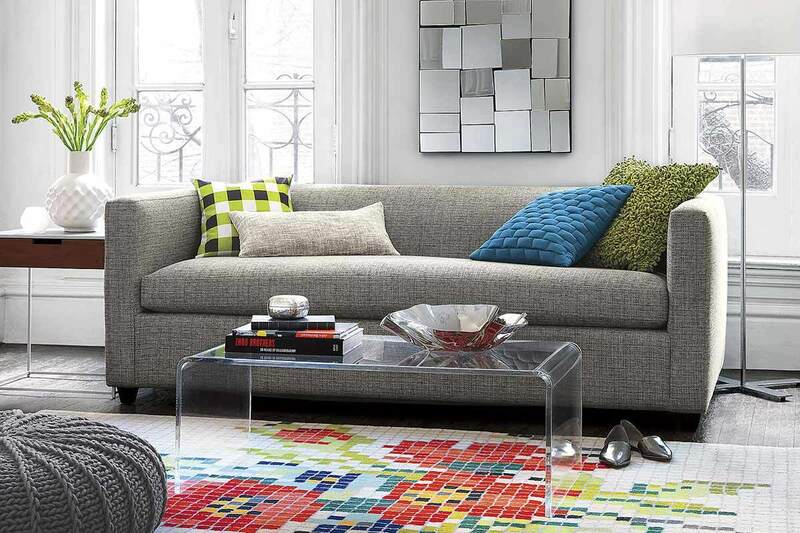 You can pick up the complete sectional for $1796 from CB2 or put your own sectional together piece-meal. 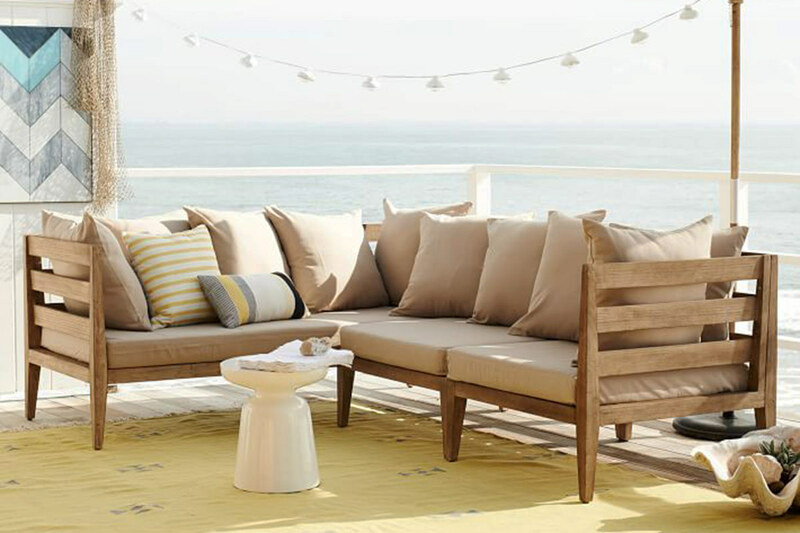 The Jardine Sectional has a frame built of FSC-certified tropical wood with a driftwood finish which means it's well suited to those beach homes with beautiful views, having said that, the neutral color scheme makes it a very adaptable choice for any home. 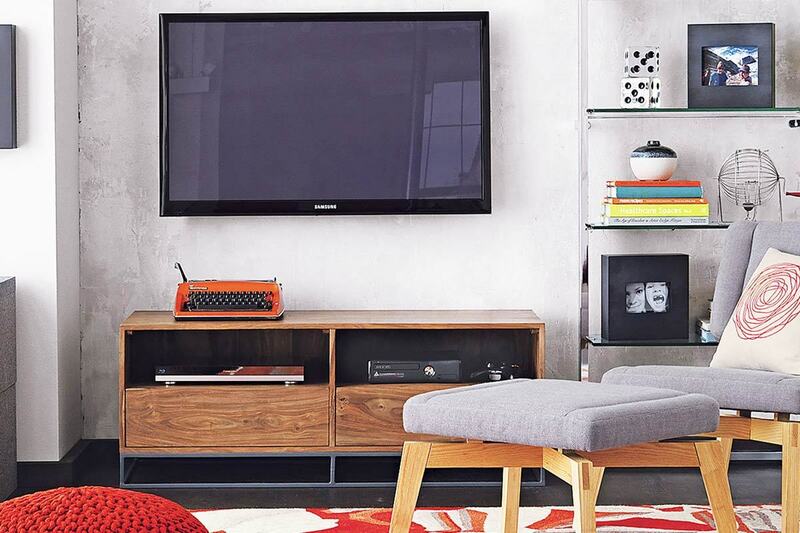 You can order the complete sectional pictured above from West Elm for $1999. 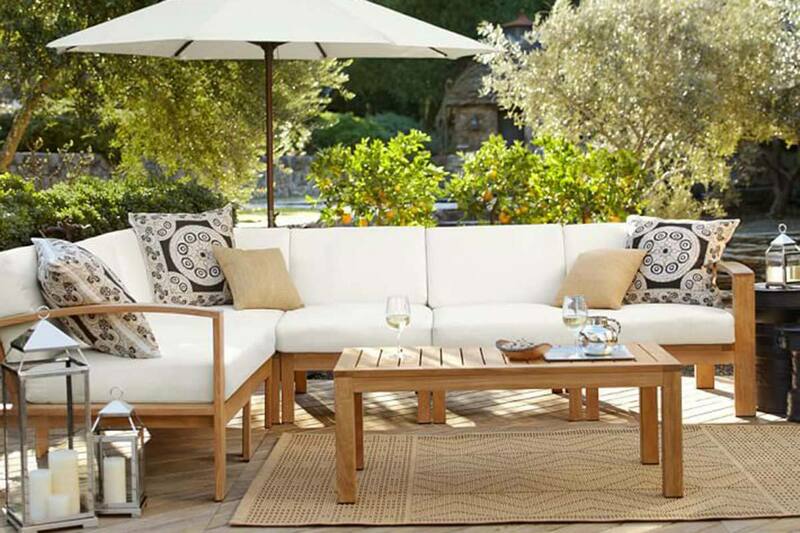 Pottery Barn has been in the outdoor furniture game for a long time and that shines through when one realizes the quality of their outdoor pieces. The Madera Teak Sectional is built to last, with a sturdy construction and classic form so you don't ever have to worry about this sofa looking or feeling dated. The only catch is that it costs a little more than some of the others and cushions are sold separately! You can buy the 4-piece sectional frame for $3146 from Pottery Barn. This piece is great for those classic luxury homes in Dallas. This rattan piece from Ikea is a tasteful classic and it is far and beyond our cheapest option! You can pick up the 4-piece sectional from Ikea for only $510 or add as many pieces as you want and still walk away with more money in your wallet! Budgeters can cozy up outside around the outdoor fire pit on these comfy cotton chairs this summer! 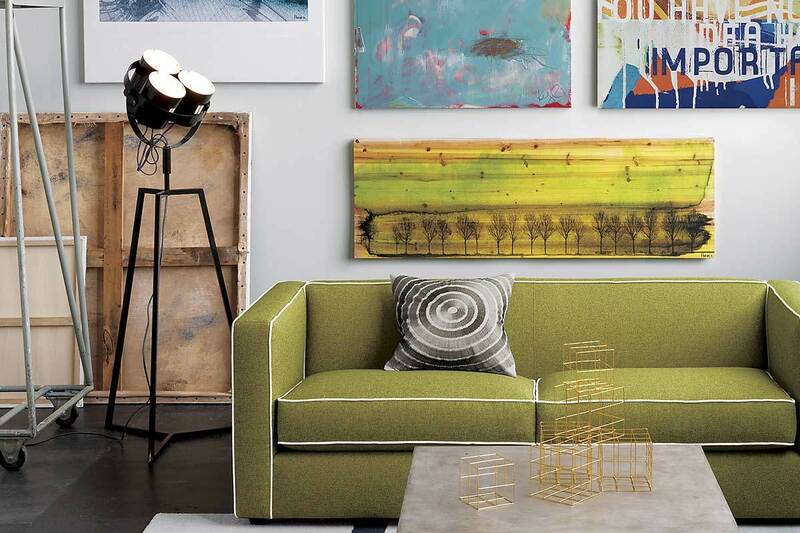 Meet the smartest and most modern choice on our list, the Dune Sectional Sofa. UV, mold, fade, tear and stain resistant this sofa could outlast your home. We love how the mesh is slightly transparent and airy. The stainless steel frame ensures you'll never have to worry about rust or wear. All the perks of this sofa come with a high price tag though, you can order the 3-piece sectional for $3497 from Crate & Barrel. This kind of craftsmanship and quality could only come from Restoration Hardware. 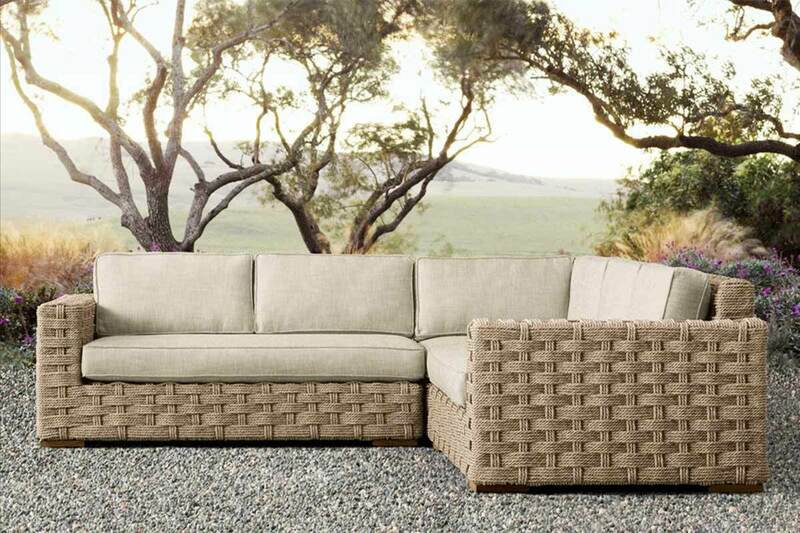 The Rutherford Corner Sectional is constructed from all-weather woven ropes that evoke a strong nautical theme. A wide variety of weather resistant soft and tough fabrics are available for this low profile lounging sofa. If you really value your outdoor space then this is a worthwhile investment at $6385 from Restoration Hardware.